Sultan Haji Hassanal Bolkiah of Brunei Darussalam paid his State visit to Vietnam from March 26-28 at the invitation of Party General Secretary and President Nguyen Phu Trong. The Brunei leader held talks with his host Nguyen Phu Trong and met with Prime Minister Nguyen Xuan Phuc. He also paid tribute to President Ho Chi Minh at the late leader’s mausoleum, and laid a wreath at the Monument of Heroic Martyrs in Hanoi. The two sides issued a joint statement. Chairwoman of the National Assembly (NA) Nguyen Thi Kim Ngan, with a high-ranking delegation of the Vietnamese NA, paid her official visit to Morocco from March 27-30 at the invitation of President of the Moroccan House of Representatives Habib El Malki. The Vietnamese leader held talks with Speaker of the Moroccan House of Representatives Habib El Malk, met with Morocco’s Prime Minister Saadeddine Othmani and received President of the Morocco-Vietnam Friendship Association Elktiki Mustapha. Shealso met with Governor of Morocco’s Marrakech prefecture Karim Kassi Lahlou as well as visited the Vietnamese Embassy. The Vietnamese economy saw growth of 6.79% in the first quarter of 2019. Accordingly, the agro-forestry-aquaculture, industry, and construction and service sectors increased by 2.68%, 8.63% and 6.5%, respectively. Bui Thao Huong has won the special prize at the 21st Kyushu International Music Contest, in Kumamoto, Japan. 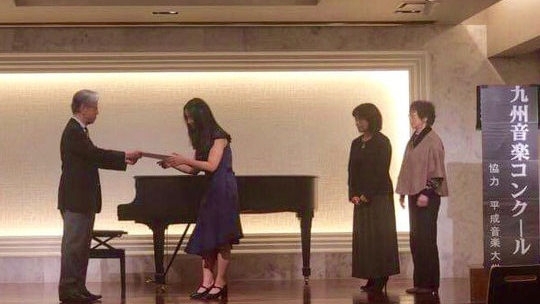 Vietnamese 15-year-old contestant Bui Thao Huong has won the special prize at the 21st Kyushu International Music Contest, in Kumamoto, Japan. Bui Thao Huong is a student of TH school. In addition, she is studying at the Faculty of Piano, the Vietnam National Academy of Music. Thao Huong won a silver medal at the Asian Festival held in Singapore (2014) and another at the International Piano Festival held in the Republic of Korea (2018). The number of international visitors arriving to Vietnam was estimated at over 4.5 million for the first three months of this year, a year-on-year increase of 7%. Accordingly, arrivals by air, sea and road were up 4.5%, 37.4% and 26.2%, respectively, over the same period last year. 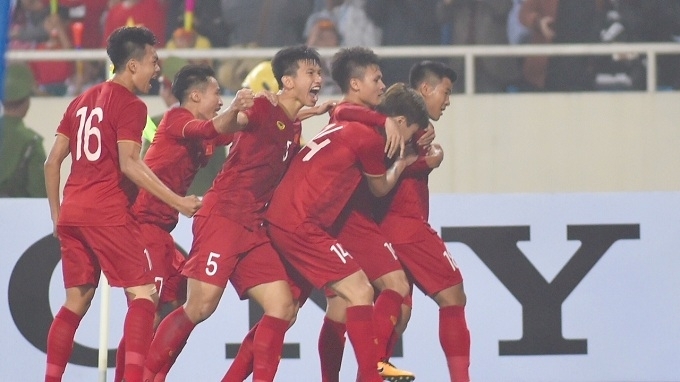 Vietnam have officially made it through to the finals of the 2020 AFC U23 Championship after thrashing Thailand 4-0 to claim top spot in Group K.
The goals were scored by Ha Duc Chinh, Hoang Duc, Thanh Chung and Thanh Son. With the convincing triumph, Park Hang-seo’s troops have officially qualified for the 2020 AFC U23 finals as the Group K winners, scoring nine points. Vietnam won the overall trophy at the 2019 International U19 Football Tournament in Nha Trang city, Khanh Hoa province, after beating Thailand 1-0 in the final match. Forward Xuan Tao scored the solitary goal of the final to seal a convincing victory for the host team.